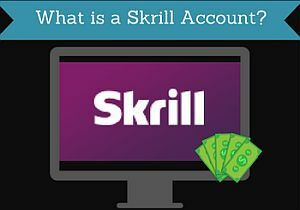 What is a Skrill Account and What Can You Use it for? When spending or making any kind of money online, it can be very useful to use one or several online payment platforms. I personally use them as a way to get paid from survey sites, but they can also be used for many other purposes. 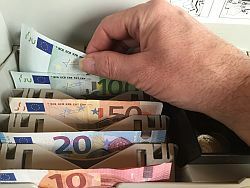 They make it easy and fast to receive and send money whether it is to or from a private person or a company, and almost no matter where in the world it is. One of the most famous of these platforms is PayPal, but there are also several other good platforms. Skrill is one of the platforms that is also often used. But what is a Skrill account and what can it be used for? This article will go into the details about that. What is Skrill and who can use it? Skrill was started in 2001, so it has been around for a while. When it first started, it was called Moneybookers, but was later rebranded to Skrill. Skrill is an online payment platform that will allow you to both receive and send money over the internet. It can be used both as a business or as a private person and is available in around 200 countries and in 40 different currencies, and has millions of users according to their own website. It is authorized by the Financial Conduct Authority (FCA) in the UK. To find out in which countries Skrill does not allow their services to be used, you can go to their website, and go to support. Here you use the search to write “countries”, and it will show you a link to where you can read the updated information about which countries that are not allowed. What can you use a Skrill account for? 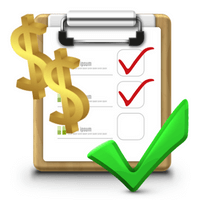 I myself really like doing online paid surveys, as you probably know by now, if you have visited my website before. One thing is to make money on survey sites, but it is also very important how you can get the money out. Skrill is one of the payout methods that is offered by some survey sites. Personally, I think it can be a good option to use for ClixSense and Superpay.me, which are two of the survey sites that offer Skrill as a possibility. Skrill can be used for sending money to anyone you know in any of the countries Skrill is available. To transfer money, you just need to have the other persons email address, and then you can transfer money in a few simple steps. The receiver will receive the money in the local currency. Skrill offers you to make the first money transfer like this for free. You can see the normal fees later in this article. Skrill is a popular site to use for online gambling and betting sites. Most of the major casino, gambling and betting sites accept Skrill. So if you like playing online poker, using online casinos, betting on sports etc., Skrill can be an easy payment option to use. As Skrill has a cooperation with many of the betting and gambling sites, it also offers some special offers and deals for its members. It can be offers like special welcome bonuses, extra free spins, free money to play for without deposit and much more. You can see the current offers on Skrill’s website. One thing that you have to be aware of is that it is not allowed to use Skrill for betting or gambling in any country where online gambling is not allowed. If you do this, your Skrill account can be closed without warning. So before using Skrill for any of these activities, or before in general doing any gambling or betting online, make sure to check if it is allowed in your specific country. Skype is a very well-known platform for making it easy to communicate with people from all over the world. I personally love Skype and use it a lot to call family at home when I am traveling. Skrill is one of the payment methods you can use for Skype products, and can be a great way to use the money you get into your Skrill account. Skype is not the only way you can use Skrill to buy products or services online. You can also use it for a number of mobile services and many other services. E-bay is one of the most popular shopping platforms, where you can use Skrill as a payment option. If you like online gaming, Skrill is also an option for several online gaming sites. I am myself not very familiar with online gaming, so will not go more into details with that here, but you can see which platforms you can you Skrill for on the website. Like with the betting and gambling sites, there are often special deals and discounts for the gaming sites. Skrill has a cooperation with many Forex sites like for example 24Option, Plus500, instaforex, etoro and many more. It also offers many special deals and bonuses for Forex sites, if you are a member. Check out the website for further details on this option. How can I withdraw money from my Skrill account? You can connect your personal Visa card to your Skrill account. If you then want the money withdrawn, you can choose this Visa card as an option when you are logged in to your account and choose to withdraw. The money will then be transferred to your visa card. As well as you can connect your Visa card to your Skrill account, you can also connect your local bank account. That way, it is possible to transfer money from your Skrill account in to your own bank account. You can order a prepaid Mastercard from Skrill, where the balance on your Skrill account will be available. Once you have ordered it, it will arrive to you within a couple of weeks. After activating it, you can then use it as a normal Mastercard to pay online or in shops. What are the fees for using Skrill? As you can see, there are good opportunities to withdraw your money from Skrill. But before deciding which option you want to use, it is also important to know what the fees for the different options are. 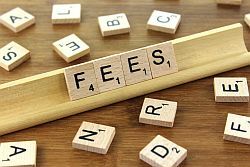 Be aware that these fees are subject to change, so be sure to check out the exact and updated fees on Skrill’s website. Cost for any transaction involving currency conversions – 3.99%. This means that if you are transferring money to another Skrill user that has an account in another currency, you will have to pay this fee. Also, if you have a Skrill account in one currency and want to withdraw the money to a bank account in another currency, you will also have to pay this fee. Luckily Skrill is available in many currencies. Be aware that the local bank might also charge a conversion fee, but you have to check this with your bank. ATM fee – 1.75% (the fee you have to pay to use your prepaid card to withdraw money in an ATM. Be aware that local ATM fees might also apply). I hope this has given you a good idea about the different fees when using Skrill. It is very important to know this before you choose a method, so you do not get any unpleasant surprises. This is just a little reminder that you have to login or use your Skrill account once in a while. If you do not login or use it for 12 months in a row, a 3 euro fee will be deducted from your account every month. Luckily it is not difficult to keep your account active, as it only takes a few seconds to login. But important to remember this, if you end up in a situation where you are not using it for a while. Whether Skrill is worth joining or not really depends on what your needs are. But it can be a great way to send or receive money online, if you have the need for that. 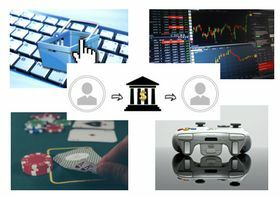 And it is used by several very reliable sites like E-bay and Skype, and most of the biggest gaming, gambling and betting sites and is authorized by the FCA in the UK, where Skrill has its headquarter. So it is a reliable site. If you have any experiences with Skrill yourself, or have any comments or questions, feel free to leave a comment below. Please Mikael, I run an online business. How do I withdraw the money from the account to my skrill account? How you withdraw from for example a survey site or another kind of site where you have an account into your Skrill account depends on the place you have the account. They first of all need to offer Skrill as a payout option. If they do, you should be able to find Skrill as an option under your payout info and choose it here. If you want to payout from your Skrill account into your regular bank account, you do it from your Skrill account dashboard under withdraw money option. Yeah, I have done that but it also requires an account number. How do I get skrill account number to use? Did you already register at Skrill? Because that is the first step. If not, just click the link above in the article, which will take you to Skrill where you can register for a free account. Then you can start using it. Sorry, but I am not sure I understand what you are asking then – can you try to explain it in a bit more details? Is it because the service you want the money transferred from and into your Skrill account is asking for an account number? Or is it Skrill that is asking you for an account number? If you can give some more info, I will be happy to see if I can help. Yeah, it is the service I want to transfer money from that is asking for an account number. In most cases it would then be the email address you have used to register your Skrill account with you have to give. Let me know if it works. Okay, I’m gonna try it. Thanks. You are welcome – glad I could help. A very informational piece on an alternative to Paypal. I was not aware of Skrill. Thanks for keeping us informed. I love the availability in some countries. Skrill will be given serious consideration for future use. Yeah i might try this Skrill at some point in the future based on your review, because I’m always looking for new methods of sending and receiving money. Also i live in the UK and work very closely with the FCA in my own work, so it makes it much easier for me to trust this website, and after reading your review Mikael i think you have tipped me over the edge, so I’m bookmarking and coming back here to set up an account soon. Thanks for your comment and sharing your thoughts Marley. Glad you found it useful. Thanks for an article about an alternative to Paypal. I’ve been using PayPal for years, and have had no problems yet, but it’s nice to know of another way to move money between countries around the world. Now that i have a couple of websites, it’s possible to have customers from any country, so all alternatives need to be explored. Thank you for this article. I haven’t heard of skrill before. I thought the only online payment method was PayPal. I like you do paid surveys so I think this would be great to have to receive my money. I really like your writing style as it is really easy to read. Well done in this great post. Thanks for your feedback Harjit. Glad you like the info.